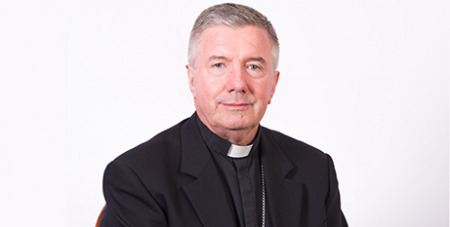 Canberra-Goulburn Archbishop Christopher Prowse has endorsed new ACT legislation requiring all adults to report child sexual abuse, but will not direct priests to break the seal of confession. Source: RiotACT. The Crimes Act (ACT) will now require any person over 18 who identifies or believes that a child is being abused to report the matter to police. Attorney-General Gordon Ramsay has made it clear that the new legislation applies to all adults without exception. Instead, Archbishop Prowse will direct priests who hear a confession from an abuser to “do all they can to bring the matter outside the confessional” to report it. He believed this could be negotiated without breaking the seal of confession. Archbishop Prowse said it would be difficult for priests to know who had made the confession of abuse since it frequently takes place behind a grille without names or identifying details. Church officials argued at the briefing that confessions of child sexual abuse would be rare and more likely to take place in jail after an offence has been proved. They believed that anyone making a genuine confession would have a sincere resolve to confess their crime without requiring a priest to make the report. Children disclosing abuse in the confessional would be told clearly that they had not committed any sin, and all possible attempts would be made to help and support them. Archbishop Prowse said that children needed “compassionate reassurance”, and spoke about the Church’s “heightened awareness” of how to handle such disclosures. This includes a diocesan-wide education program focused on reporting abuse to the proper authorities rather than in confession. Archbishop Prowse said that he believed it would be rare for a case of child abuse to be reported for the first time in a confessional setting, adding that all other adults working in the Catholic education and health care systems would be under an equal obligation to report the abuse.